Prefix Magazine covers the latest in music daily. 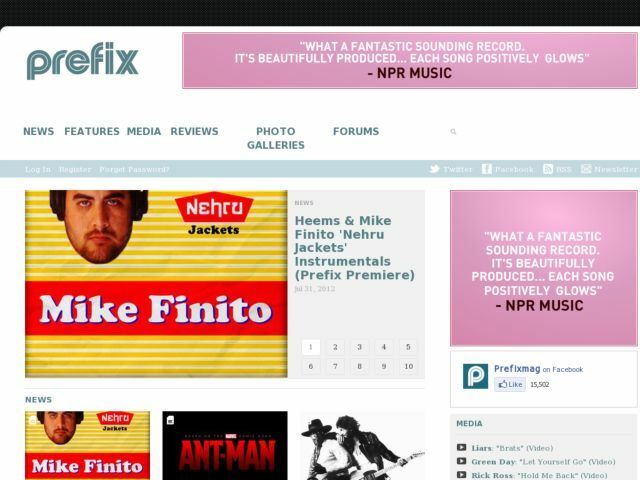 Prefix showcases an extensive catalog of exclusive music news, interviews, reviews, mp3s, video, photo galleries, contests and giveaways and more. Prefix has added some basic social features: friends, private messaging, comments on users, user status, forums.